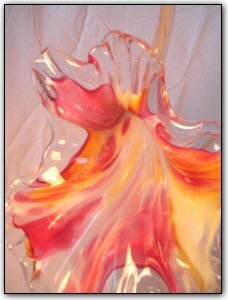 This brilliant pink sorbet flower captures the essence of a splash of water frozen in time. Add elegance to any room with this beautiful hand sculpted work of art. This flower also has solid copper secured to the tail for easy hanging and installation.